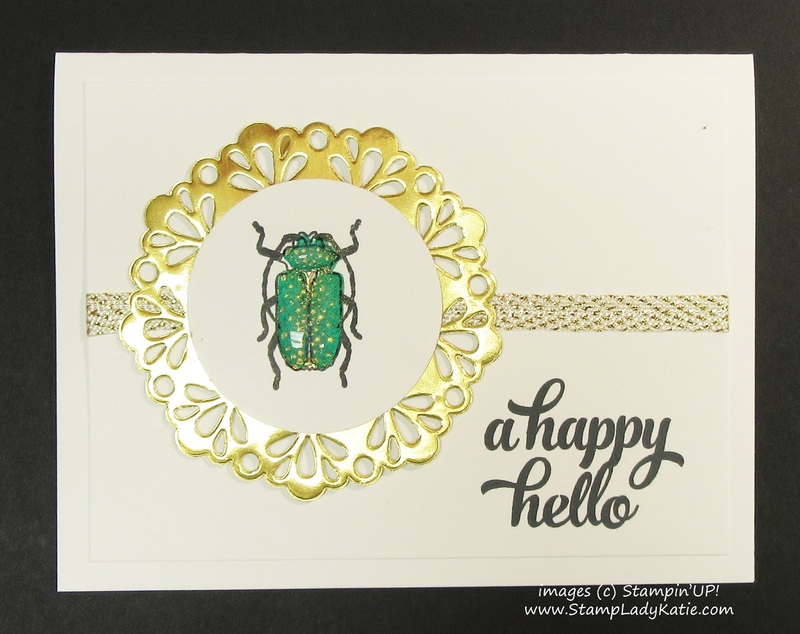 This new Beetles and Bugs set from Stampin'UP! reminded me of my college days. I was a biology major and we had to make a bug collection for one of my classes. Naturally I could not not get that set. 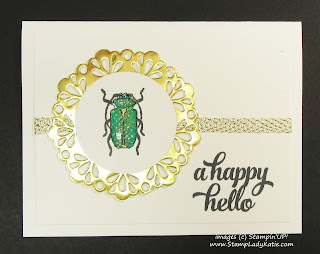 Look a little closer at the beetle shell. See how shiny it is? After I stamped it I covered it with clear glue. Actually I gold embossed the spots and then used the clear glue. Check it out.